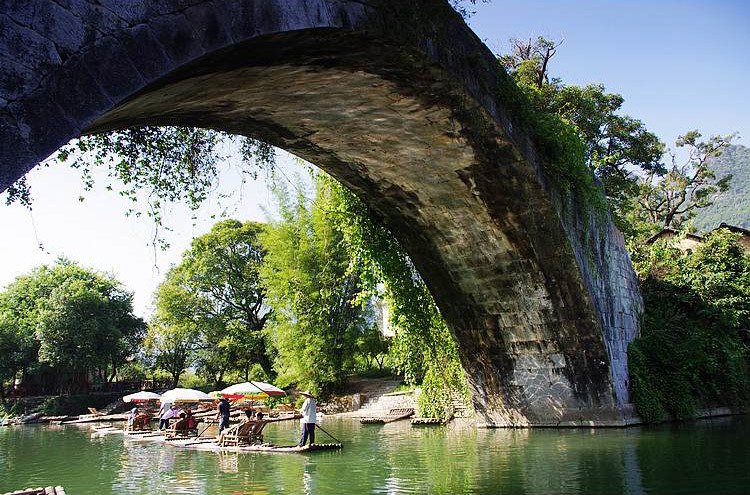 In this long trip, you'll have plenty of time to explore Guilin and Yunnan. 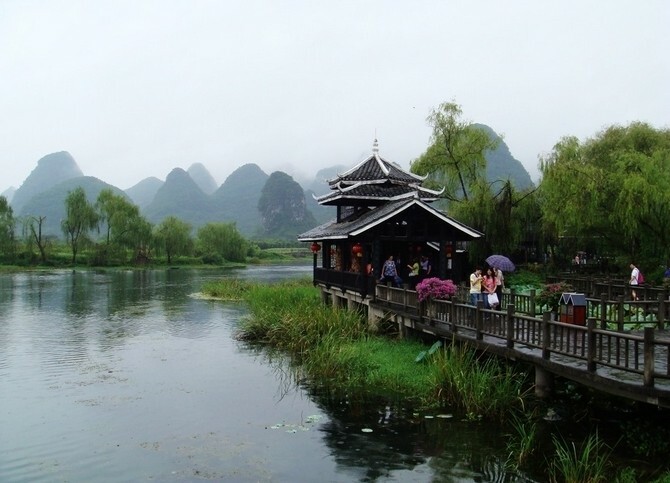 In Guilin you'll tour the world-famous Li River, Yangshuo, Longji Terraced Filed, etc. And in Yunnan, you'll also visit highly famed destinations such as Stone Forest, Confucius Temple, Double-Dragon Bridge, etc. 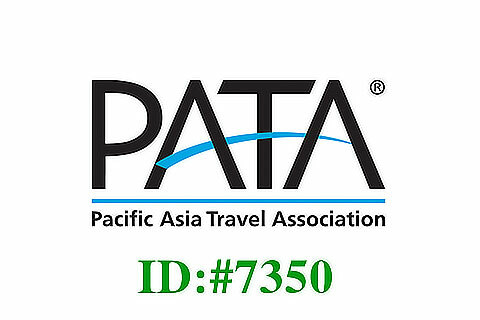 Meet your guide and driver at Guilin Airport or Guilin Train Station and transfer to your hotel. In the evening, take photos of the night view of Guilin city. 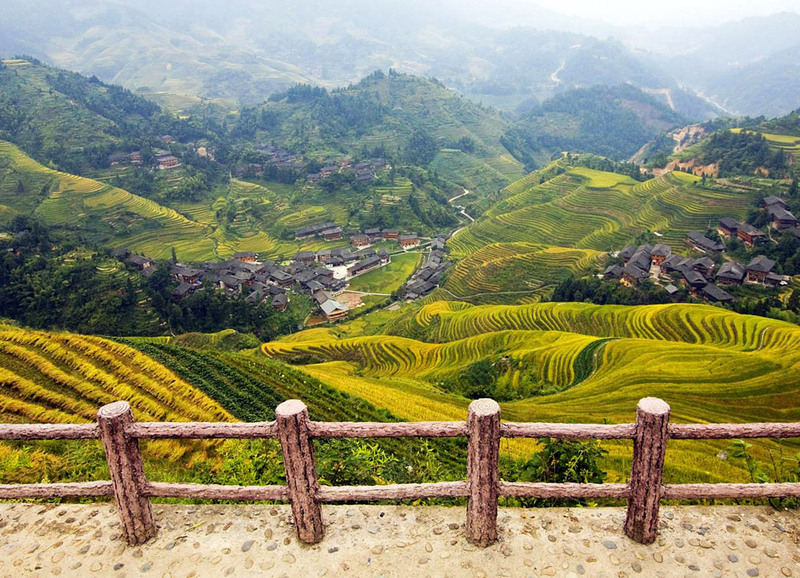 Drive to Longji area, where you will take the wonderful pictures of the ethnic Yao and Zhuang people, as well as the stunning rice terraces. 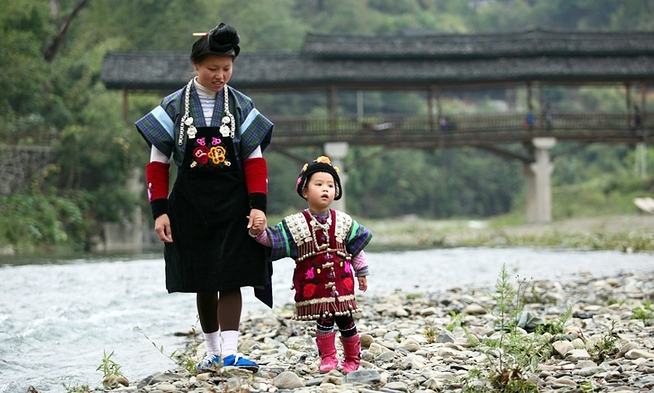 Explore the Yao villages and take photos of the local people’s life. Overnight at the guesthouse at Jinkeng. 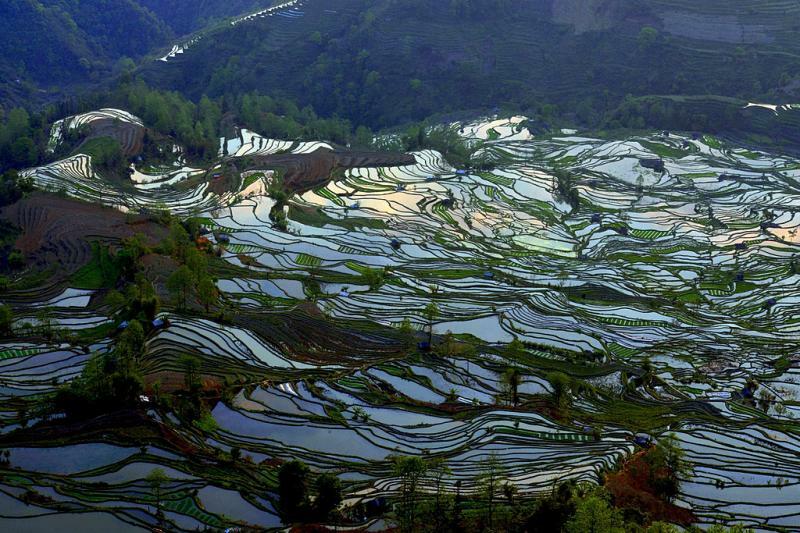 Take the photos of the rice terraces in the early morning. 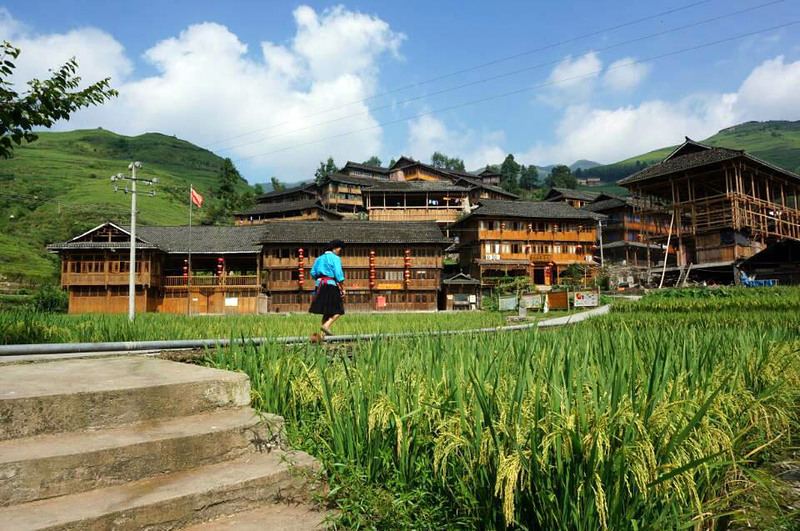 Then head for Hebao Village, stay overnight at local guesthouse. 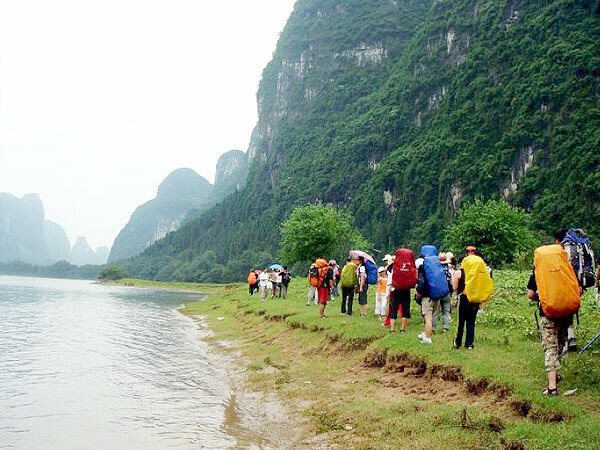 Get up in the early morning, and take the photos of Li River. Then drive to visit Yulong Bridge and take photos. Then head for Xingping to take pictures of the sunset. Overnight at Xingping. 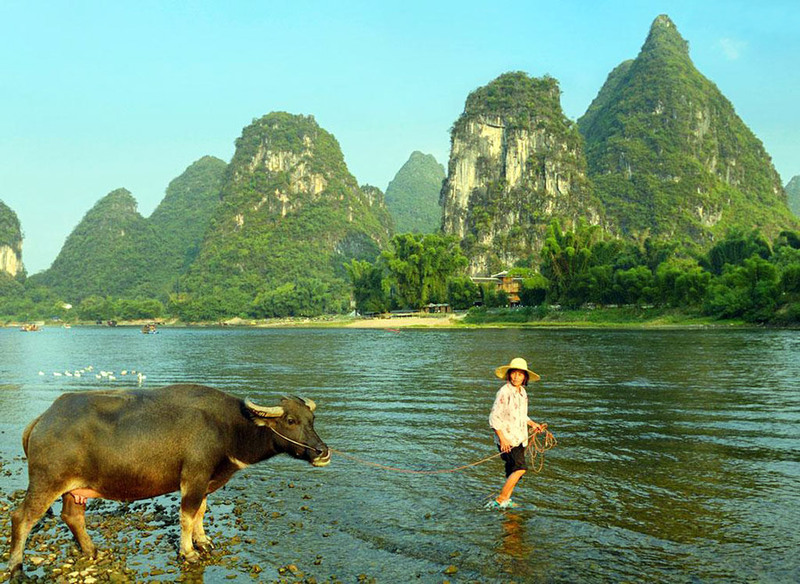 In the early morning, take a local boat to Li River for some nice shots. Then drive back to Guilin and catch the flight to Kunming in the afternoon. 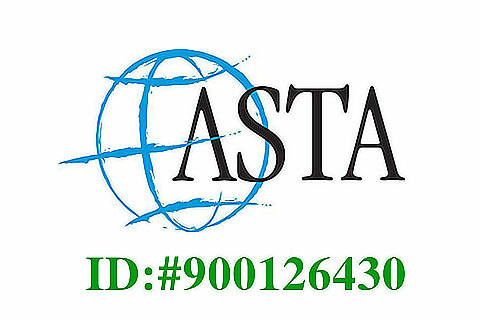 Upon arrival, be met and transferred to the hotel. 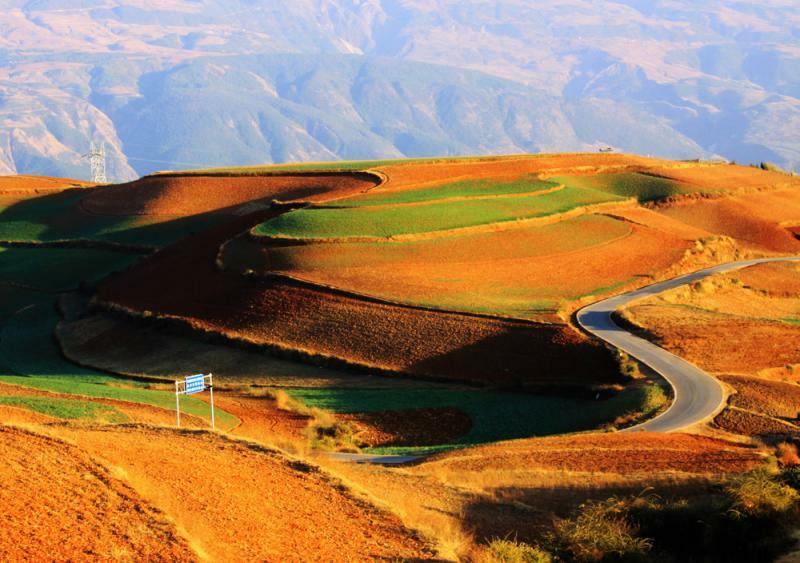 After breakfast at hotel, drive 3 hours to Dongchuan. Enjoy a panoramic view of the laterite fields. If weather permits, you can walk to take some photos of the stunning landscape at sunset. Overnight at local guesthouse. 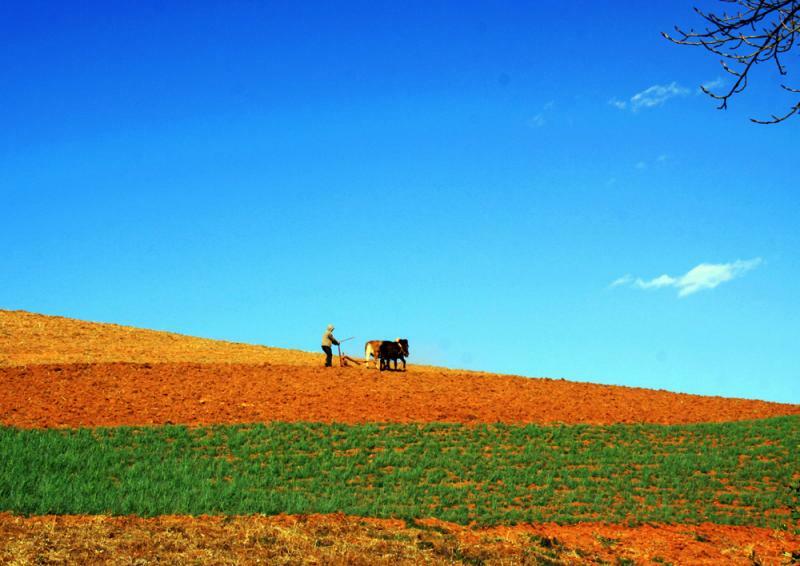 Chinese farmer was plowing fields. Get up early in the morning to take photos of the sunrise at the Damakan. After that, photograph at the other sites like Jinxiu Garden, Qicai Slope, Moon Field, Thousand-year-old tree. In the afternoon, drive back to Kunming and check into the hotel. 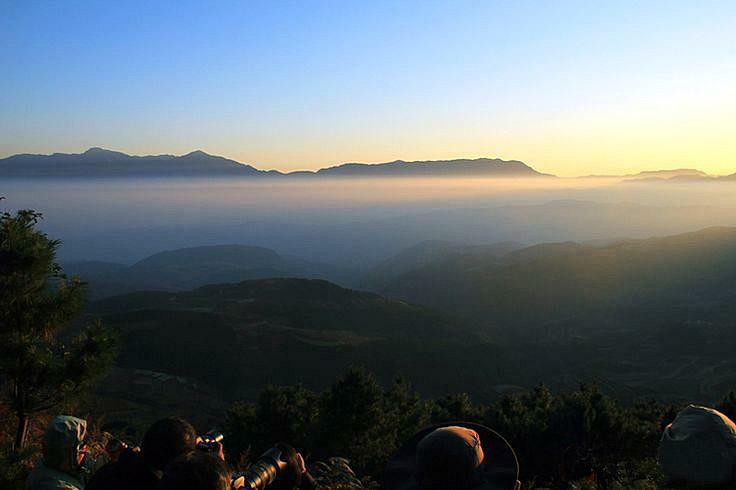 Damakan - the best place to view the sunrise at Dongchuan. 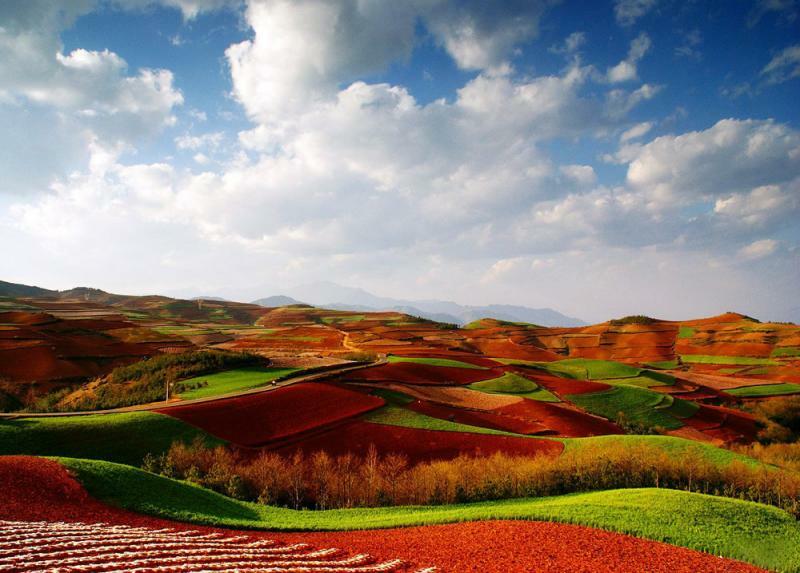 The photograph of laterite fields at the Qicai Slope of Dongchuan. 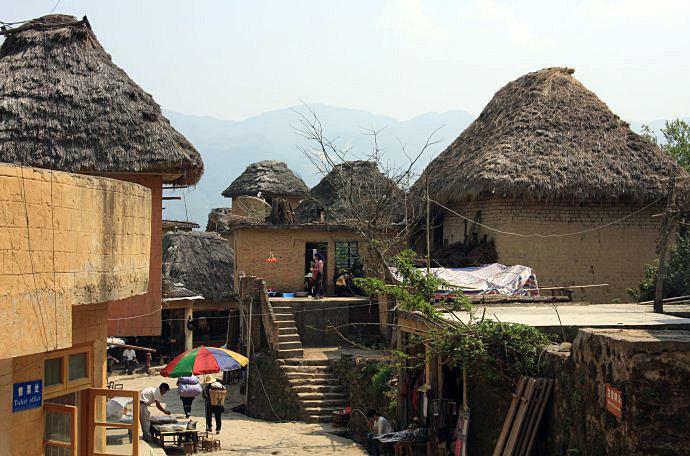 Private transfer to the south of Yunnan Province. 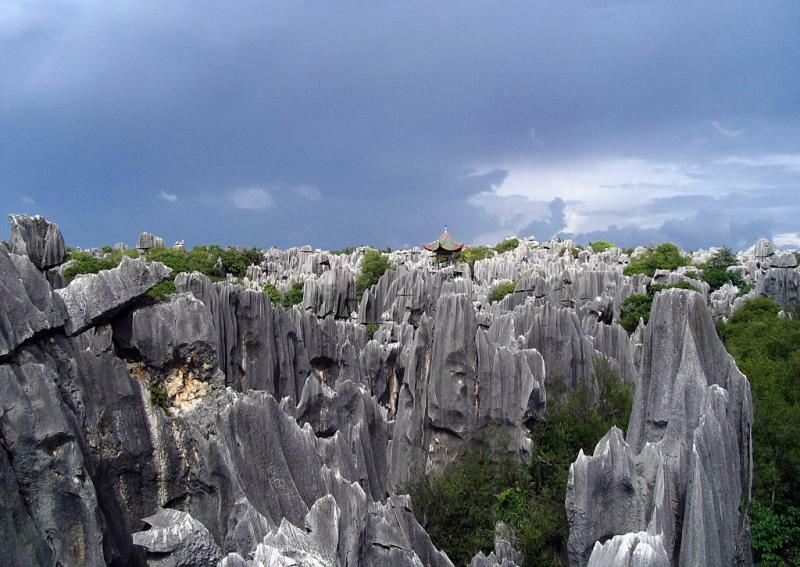 Visit Stone Forest. 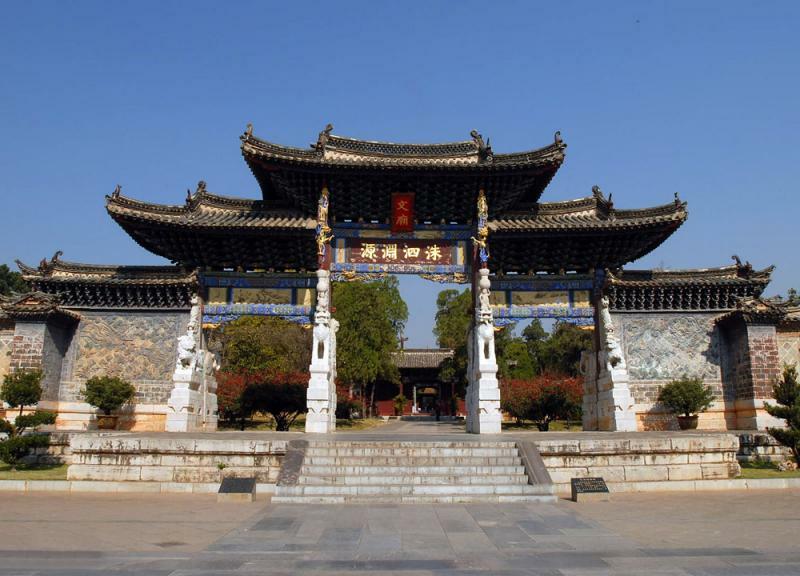 Upon arrival at Jianshui, visit the Confucius Temple, and Family Zhu's Courtyard House. 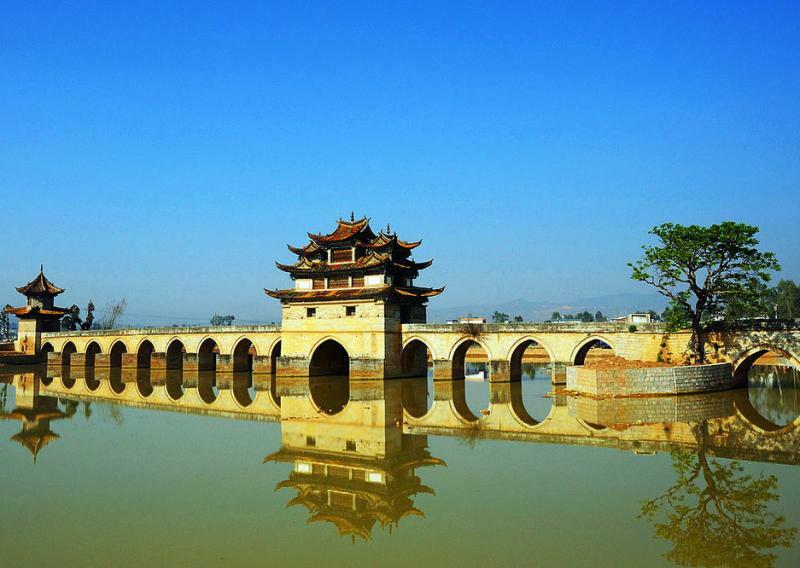 In the morning, visit Double-Dragon Bridge. 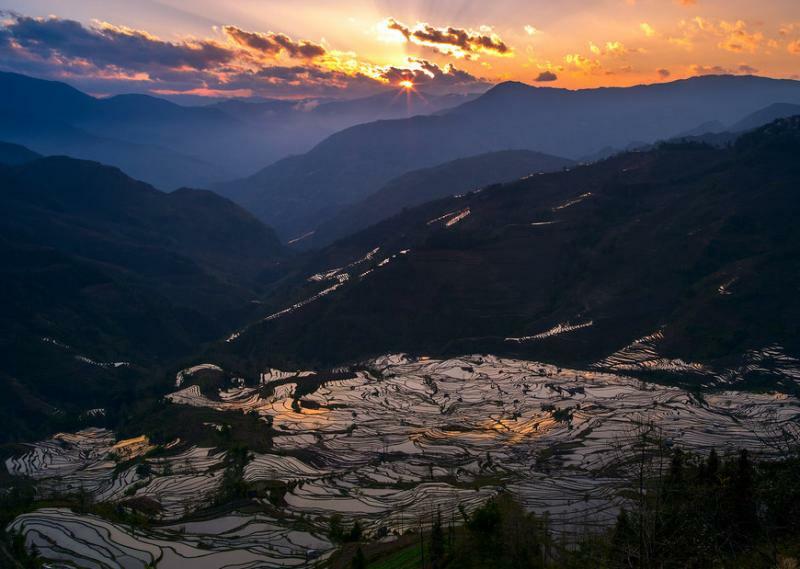 Then proceed to Yuanyang, take photos of sunset at Hani people’s rice terraces at Tiger Mouth(Laohuzui). 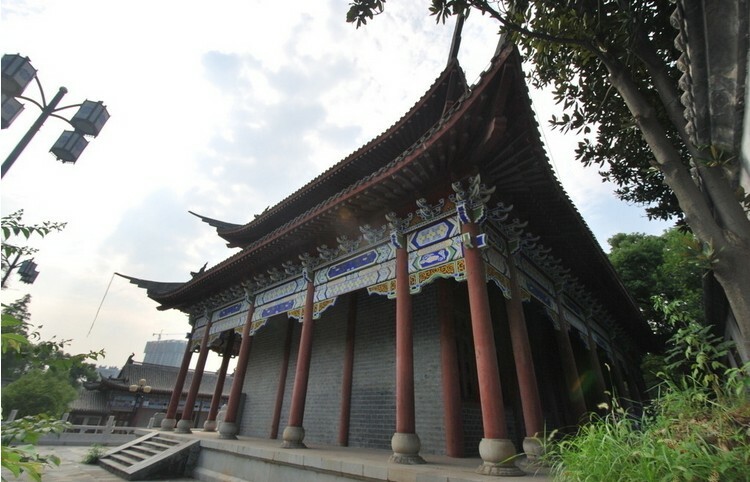 Get up early to take photos at Duoyishu for the sunrise, and then go to Shengcun, Bada and Jingkou Hani Village. Drive back to Kunming.